I. Restore balance in U.S. government policy in favor of fostering appreciation of ancient and indigenous cultures and the preservation of archaeological and ethnographic artifacts for the education and enjoyment of the American public. A. Protect our treasures from grasping foreign authoritarians. Archaeological advocacy groups with ties to foreign authoritarian governments lobbied for the introduction of last term’s proposed Terrorism Art and Antiquity Revenue Prevention Act (“TAAR”) as an anti-terrorist financing measure. That bill would have dramatically lowered the bar for criminal prosecutions based on other nations’ cultural patrimony laws. TAAR empowered federal prosecutors to charge individuals for possession of any object valued over $50 illegally removed from another country. As proposed, the bill would have turned millions of collectors, thousands of small businesses that trade in art and antiquities, and hundreds of museums into criminals overnight. TAAR died at the end of the last Congressional session, but is expected to be reintroduced in some form this term. We oppose criminal liability being predicated on obscure foreign laws, particularly those of authoritarian and dictatorial regimes. To the extent such laws should be honored here at all, any liability should only be prospective and based on foreign laws accessible on public web sites that vest clear title in a foreign country and which are consistently enforced at home. 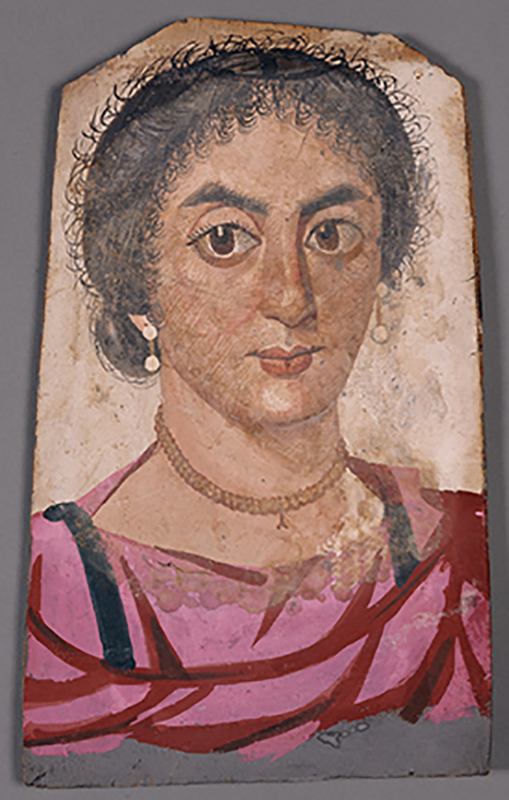 Mummy Portrait of a Young Woman, Romano-Egyptian, c. 170-200 AD. 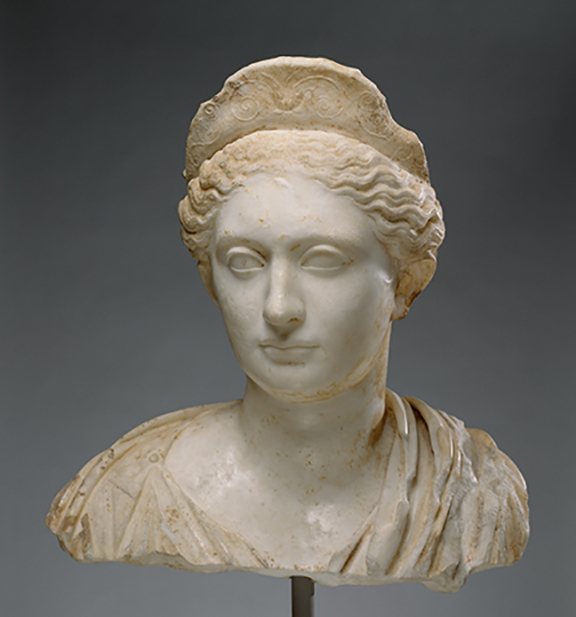 Digital image courtesy of the Getty's Open Source Program. B. Facilitate lawful trade in cultural artifacts openly and legally available for sale abroad. A specific request that “must be accompanied by a written statement of facts known to the [1970 UNESCO Convention] State Party.” CPIA, 19 U.S.C. § 2602 (a) (3). Specific findings that: (a) any restricted archaeological artifacts were “first discovered within” and are “subject to export control” by the State Party seeking restrictions (Id. § 2601 (2) (C)); (b) any restricted archaeological artifacts are of “cultural significance” and any restricted ethnological objects are “the product of a tribal or non-industrial society” and “important” to the “cultural heritage of a people” (Id. § 2601 (2) (C) (i) (I)) and (ii) (II); (c) less drastic remedies than import restrictions are unavailable (Id. § 2602 (a) (1) (C) (ii)); and (d) any restrictions are part of a “concerted international response” of other State Parties to the 1970 UNESCO Convention. Id. § 2602 (a) (1) (C) (i). Moreover, the CPIA set up a panel of experts, the Cultural Property Advisory Committee (“CPAC”), to assist the President in his decision making. Id. § 2605. In practice, the State Department (which has received a presidential delegation of authority) ignores all these limitations and instead imposes the broadest possible import restrictions in the interests of promoting “good will” with other countries. CPAC was set up to help ensure the decision maker would balance restrictions against the benefits in terms of people to people contacts and the appreciation of other cultures collecting fosters. Unfortunately, CPAC is currently packed with supporters of the archaeological lobby’s extremist views. Moreover, archaeological advocacy groups’ support for broad restrictions have given the State Department political cover from the charge that import restrictions only disadvantage American citizens, museums and small businesses without having more than a negligible impact on looting. We will advocate to ensure membership of CPAC reflects the interests of the public, the trade and museums rather than solely the interests of the archaeological lobby. We will advocate moving CPAC to the Commerce Department to end built in conflict of interest in having the State Department administer program as a quid pro quo for other State Department initiatives and/or based on cronyism between staff and archaeological lobby. C. End embargos so they don’t hurt legitimate collecting. U.S. Customs ignores these limitations on its authority. Import restrictions are drafted based on place of manufacture in the past rather than find spot as provided in statute. Moreover, seizures are made based on date of import into the U.S. rather than on a showing that the cultural property was illicitly exported after the date objects were designated. This has changed the entire focus of the CPIA from targeted restrictions meant to prevent looting of archaeological sites into an embargo on all objects made by a particular culture in the past. Adolph Muhr, Painted Horse, Soix 1899 Platinum Print. 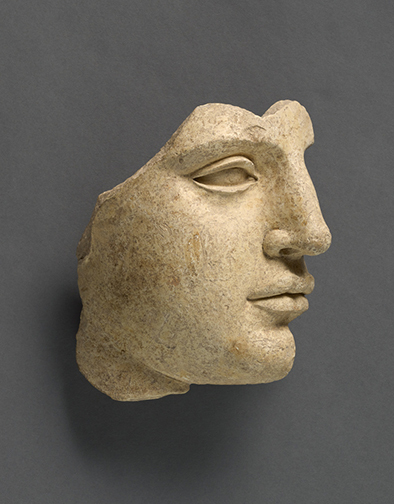 Digital image courtesy of the Getty's Open Source Program. D. Protect sacred Native American artifacts and collecting too. A revised Safeguard Tribal Objects of Patrimony Act, (STOP Act) still creates dangerous uncertainties for private owners of a wide range of Indian art, generated consumer confusion that would damage legitimate art dealers and tribal artisans, and a bureaucratic nightmare for the tribes. Bill would harm Southwest regional economies heavily dependent on cultural tourism and Indian art fairs; amounting to almost 8% of state employment in New Mexico and 10% of annual revenue, and would seriously damage tribal members entirely dependent on sales of art. STOP Act II is redundant. “Trafficking” in violation of NAGPRA or ARPA is unlawful. In addition, 18 U.S.C. § 554 already prohibits export from the United States of any object contrary to any law or regulation of the United States, and imposes an even stronger penalty than STOP II. STOP Act II makes the return of all “significant objects, resources, patrimony, or other items,” and “items affiliated with a Native American Culture” including commercial jewelry, ceramics and other legal possessions official U.S government policy. STOP ACT II fails to explicitly place the burden of proof on the federal government providing Customs with broad discretion which in the past has led to due process abuses. STOP ACT II imposes 10 years jail time for violations of less than $1 value. STOP Act II potentially has the same insidious impact as a regulatory taking by destroying the value of Americans private property and threatening the collections of America’s museums and cultural institutions and commercial viability of many businesses and Native American artisans. 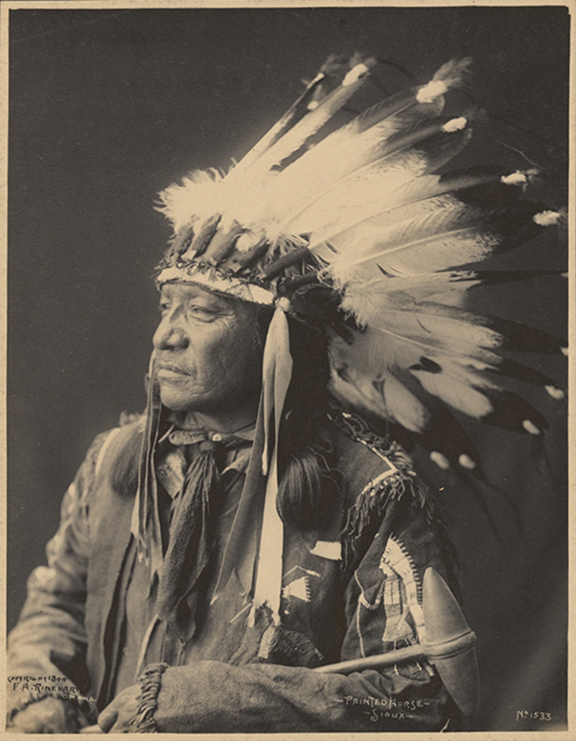 The STOP Act federalizes ATADA’s Voluntary Returns Program, discouraging participation, and putting in place a “Trojan Horse” bureaucracy, including DOJ and DHS, that might at a future date implement a mandatory return program to enforce the STOP Act’s aggressive new U.S. policy calling for the return of any, and all, items associated with Native American culture. We will work with other interested collector and museum groups to ensure Congress is aware of serious concerns about this bill. II. Promote responsible collecting and stewardship of archaeological and ethnological objects. A. Promote reasonable due diligence. We encourage all collectors, dealers and museums to exercise reasonable levels of due diligence before purchasing archaeological or ethnological objects. Generally speaking, lack of documented provenance is not an immediate indication that the object is illicit. Many objects appear on the market without a detailed collection history. In many cases, this is because objects have passed through numerous hands and previous owner(s) did not receive, lost or threw away relevant documentation and/or did not believe that it was important to retain. Given this reality, due diligence for new acquisitions will depend on several factors, including the value of the object, how common it is, and its potential origin. Every reasonable effort should then be made to ensure any provenance information about the object is transferred along with the object. Examine the feasibility of creating databases of archaeological and/or ethnological objects which will help transmit their collecting history. Dossi Allegory of Fortune c 1530 Italian. 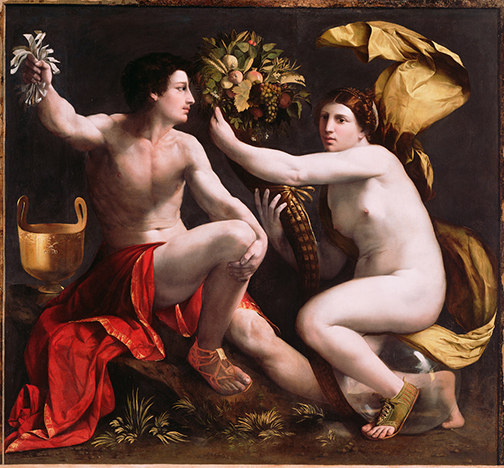 Digital image courtesy of the Getty's Open Source Program. 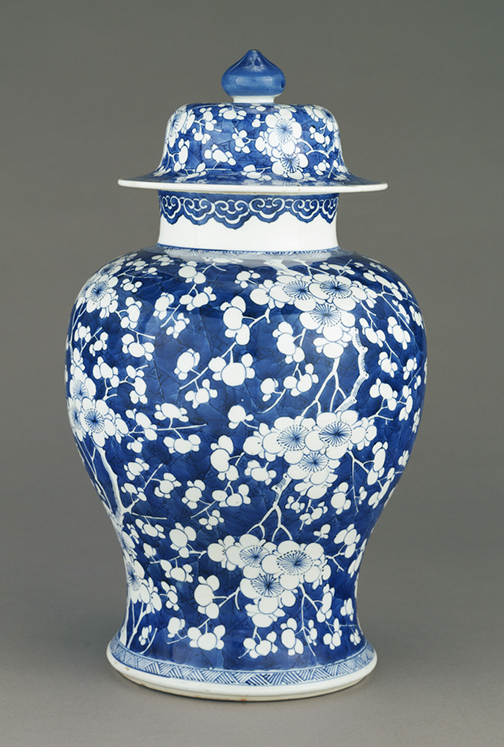 One Pair of Lidded Cases China c. 1662-1722. Digital image courtesy of the Getty's Open Source Program. B. Promote safe harbor for archaeological and ethnological artifacts from war zones. We advocate that archaeological digs be subject to reasonable regulation aimed at ensuring site security, the prompt publication of finds and the provision for fair, living wages for local employees.